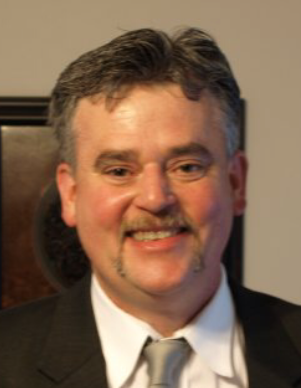 James E. “Jim” Walker Jr., 56, of Cherry Road, Chicora, went home to be with the Lord late Monday evening November 19, 2018 at Western Pennsylvania Hospital in Pittsburgh, from complications due to cancer. James was born in Bellview, Allegheny County, on October 25, 1962. He was the son of the late James E. Sr. and Carol A. Stewart Walker. Jim was a 1981 graduate of Karns City Area High School. He earned an associate’s degree in electronics at Penn Technical institute and a bachelor’s degree in Electrical Engineering Technology at Point Park University. He was a devoted Roman Catholic and a life - long member of Mater Dolorosa Roman Catholic Church in Chicora where he was a Eucharistic Minister. Jim was a well known and skilled mechanic and owned and rebuilt several Chevy S-10 pickup trucks. He also enjoyed woodworking, walks in the woods, computer programming and most especially time spent with family. He had been employed as the instrumentation and electrical supervisor at Indspec Chemical in Petrolia and was most recently employed as an electronic systems repair technician at ATI in Vandergrift. James is survived by his wife Diane K. Bowser Walker whom he married in York, SC on April 23, 1989. Also surviving are three sons, Seth T. Walker and his wife, Brianna, of Chicora, Zach J. Walker of Butler, and Jacob J. Walker of Chicora; two granddaughters, Kinsley and Briley Walker; two sisters, Sandy Bright and her husband, Eric, of Butler and Sharon Snow and her husband, Dean, of Chicora; a brother, Patrick Lee Walker and his wife, Kristen, of Chicora, his mother-in-law, Patty Bowser of Kittanning, brothers-in-law and sisters-in-law, Pam McKinney of Pittsburgh, Randy and Cindy Bowser, Tim and Wendy Bowser, all of Kittanning, as well as a number of nieces, nephews, and cousins. In addition to his parents, he was preceded in death by a sister, Patricia L. Walker, who died in 1980, and his father-in-law, Norman Bowser. Friends will be received at the Hile Funeral Home of Chicora, 339 Chicora Fenelton Rd., Chicora, on Friday from 12-3 and 6-9. A funeral mass will be celebrated at Mater Dolorosa Roman Catholic Church, 409 North Main St., Chicora at 10:00 a.m. Saturday with the Rev. Matthew McClain, church Pastor, celebrant. Interment will be in Hemphill Cemetery, Chicora. Memorial contributions in Mr. Walker’s name may be made to St. Jude Children’s Research Hospital, www.stjude.org. For more information, or to send a condolence, please visit www.hilefh.com.